The other day the kids were quietly playing in the playroom for a little too long, so I popped my head in to make sure they weren't into something they shouldn't have been. Kinda like painting the playroom carpet red. 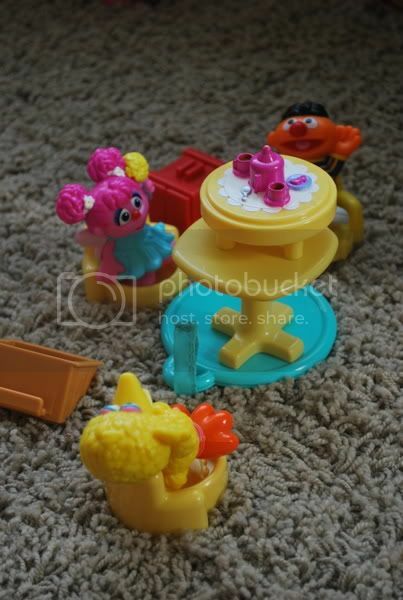 At that moment, my heart rejoiced and sank a little....her little set up with her characters having tea, obviously shows that she's growing up, even in play. My heart sank because it shows just that....she's growing up. It seemed like such a "big girl" thing to be doing. If you look on the side of the doll house, you'll notice that cookie monster was also involved with the tea party. Evidently though, cookie monster was having some bathroom issues during the tea party, because he stayed on the toilet the entire time. Maybe he finally ate too many cookies? 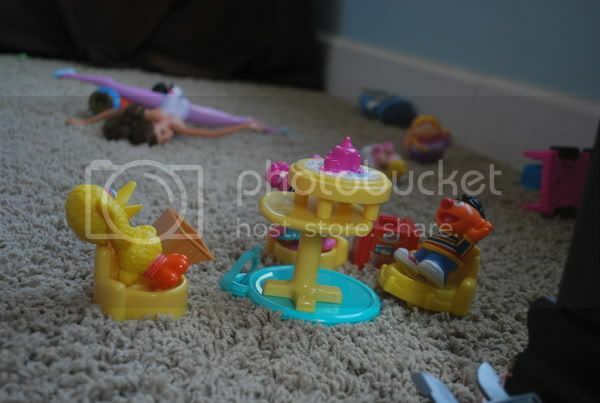 She sat there for a good forty minutes playing quietly with her little tea party. Another sign she's growing up. I know that I say it every stage she reaches, but I'm loving the stage she's in at this moment. Though I wouldn't mind if she slowed down just a bit. I love the pretend play. 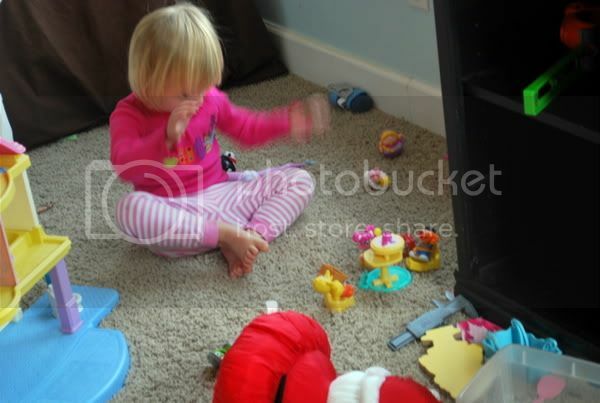 Arielle is obsessed with her dollies and feeding them and putting them to bed by singing "treetop" (rock a bye baby). 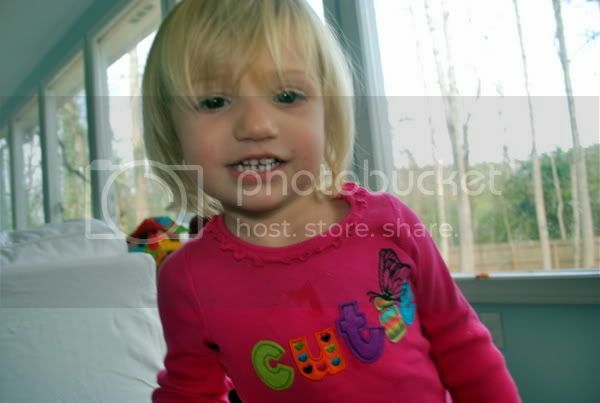 She is also the proud owner of shaggy bangs that she never wants pinned back!